Our members promote the mission of a highly respected educational institution where faith and learning are in partnership, where maturity in Christ is nurtured every day. Legacy League membership is open to anyone who shares the vision of the organization. While many members are Samford University parents, alumni and employees, numerous others have no previous affiliation with the university. Members are encouraged to invite their friends to participate in our mission to raise life-changing scholarships for students with significant financial need and challenging circumstances. Meetings, generally held on the second Thursday of October, November, March and April, feature educational and inspirational programs. Accomplished speakers, artists, musicians and authors are among the guests who share their talents, knowledge and experiences with the Legacy League. Attendance at meetings is not requirement for membership. $25 annual dues – covers cost of non-ticketed events, mailings and the yearbook. $50 annual dues – covers cost of non-ticketed events, mailings and the yearbook and provides some additional funding for Legacy League operations. $300 one-time* – includes cost of non-ticketed events, mailings and the yearbook and provides additional support for the scholarship program. $500 one-time* -- includes cost of non-ticketed events, mailings and the yearbook and provides additional support for the scholarship program. A current Life member may upgrade to the Challenge level for $200. 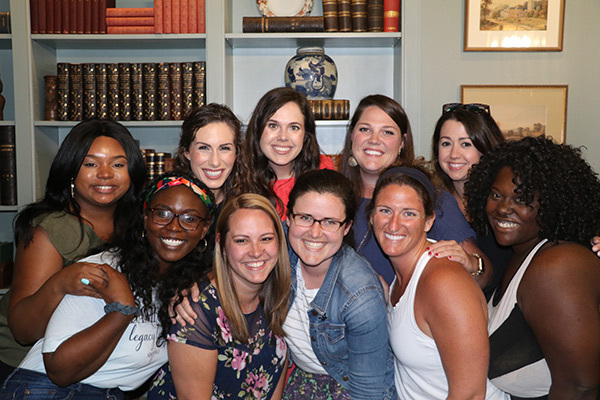 New Challenge members are invited to a special dinner at the Samford President’s Home. *Dues for these membership levels are tax-deductible and may be paid in $100 annual installments. The Legacy League encourages members to contribute to the organization’s mission through service. 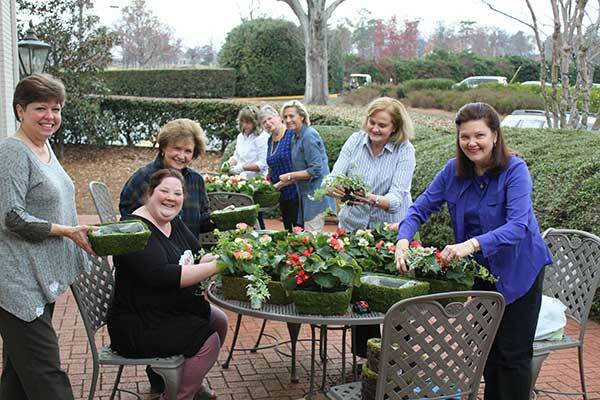 Volunteer opportunities, which suit a variety of talent, interests and schedules, allow members to become part of an encouraging and committed community. Student care, special events and program plans are a few of the meaningful and enjoyable involvement opportunities available. The Legacy League offers special events and volunteer opportunities tailored to the interests and availability of members ages 40 and under. Junior member programs are planned and executed by the Junior Board, which is comprised of volunteers in this age group. Past special events for junior members include a modern calligraphy workshop, an evening with a knowledgeable and practical style consultant, and a program on boundaries led by a trained and licensed counselor. Junior members are also encouraged to participate in traditional Legacy League events, including the Christmas Home Tour, as their schedules allow.